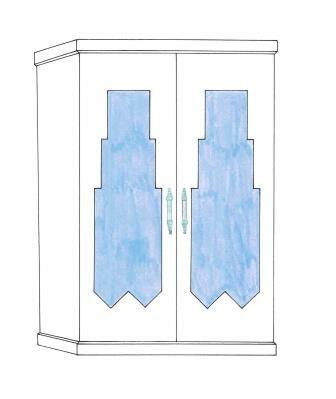 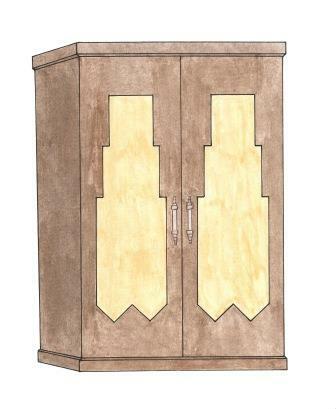 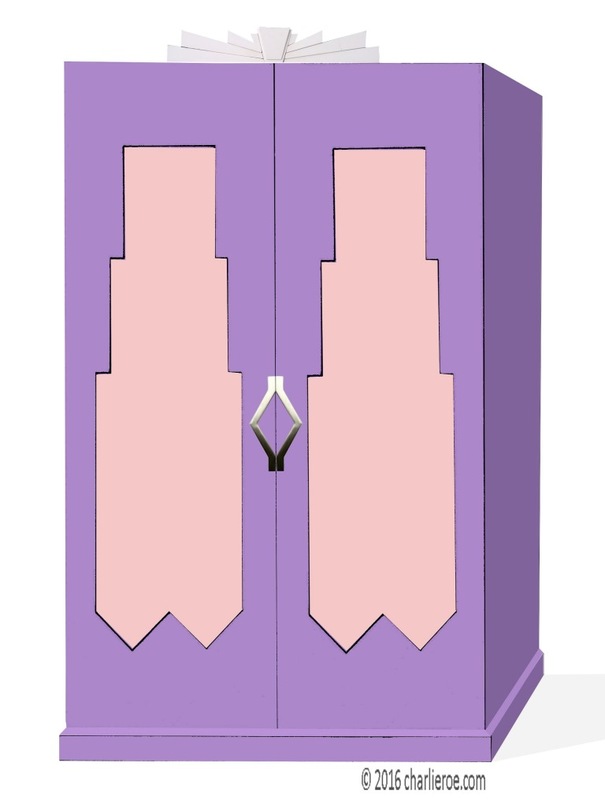 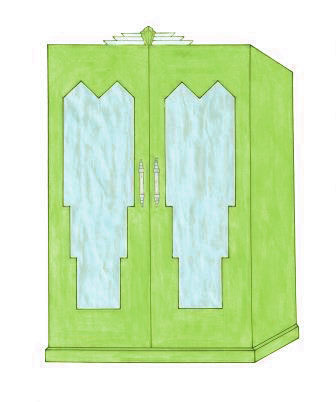 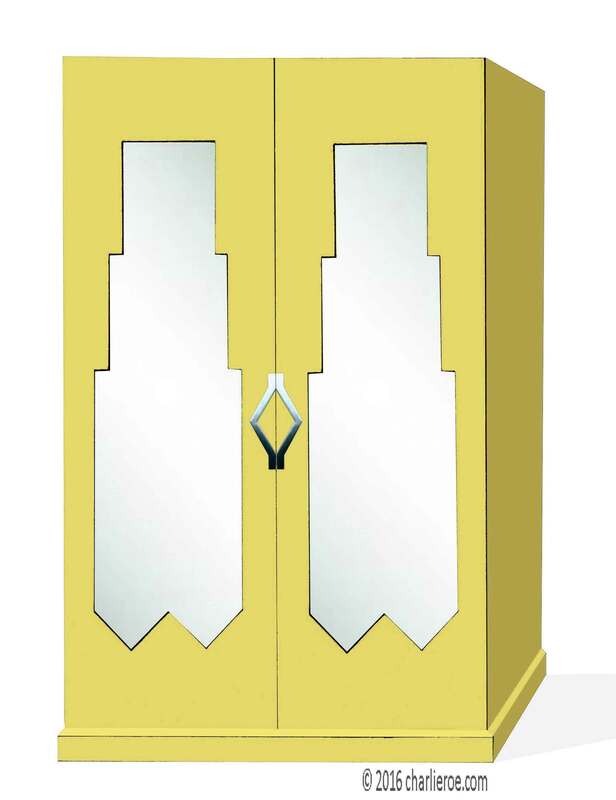 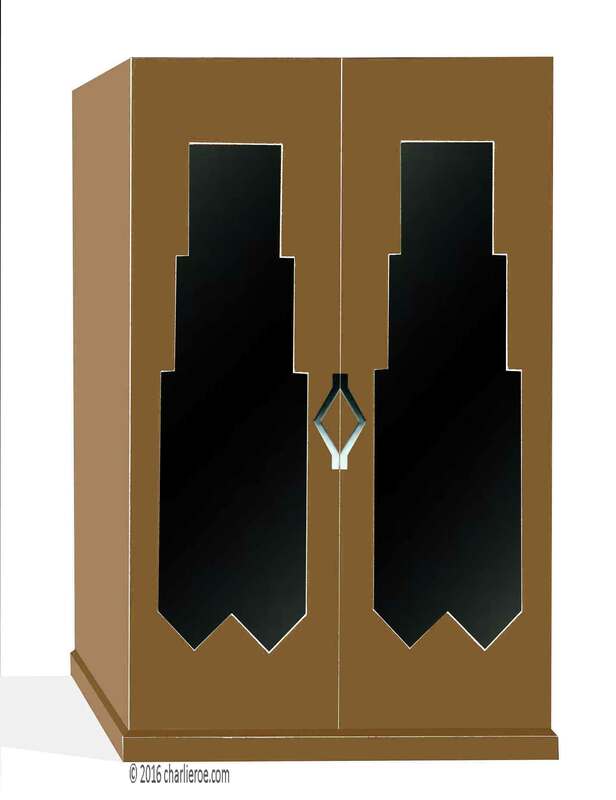 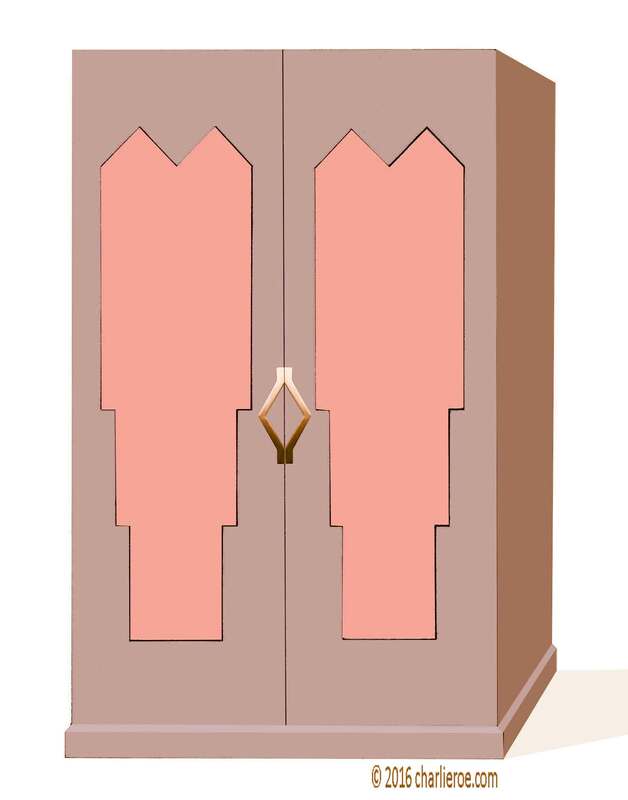 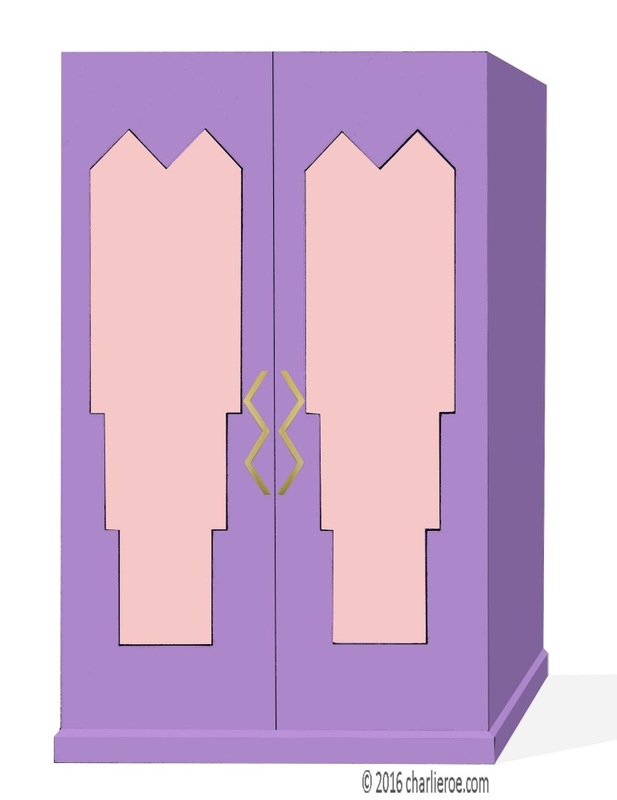 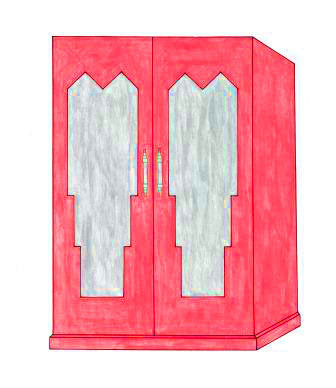 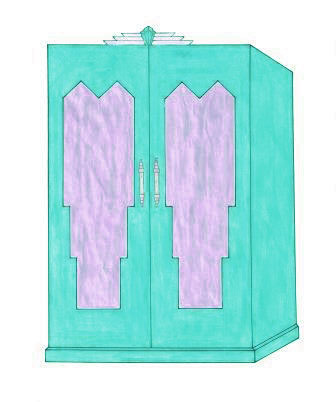 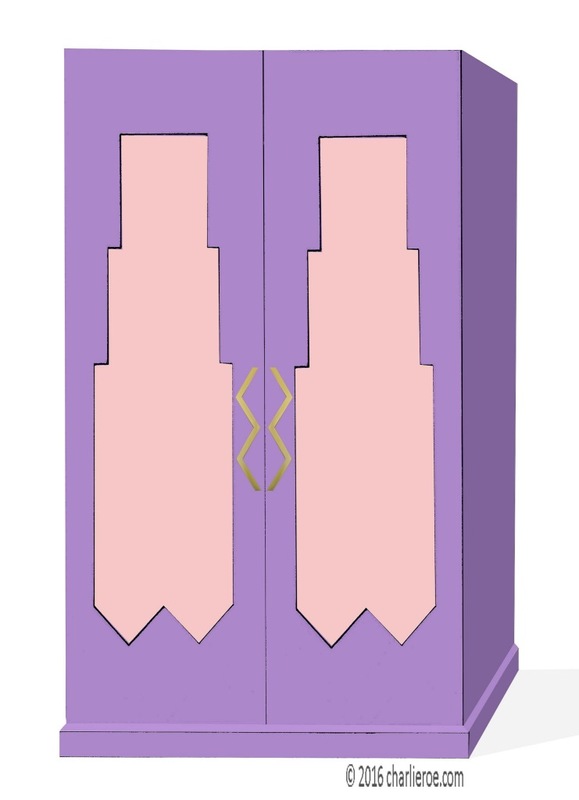 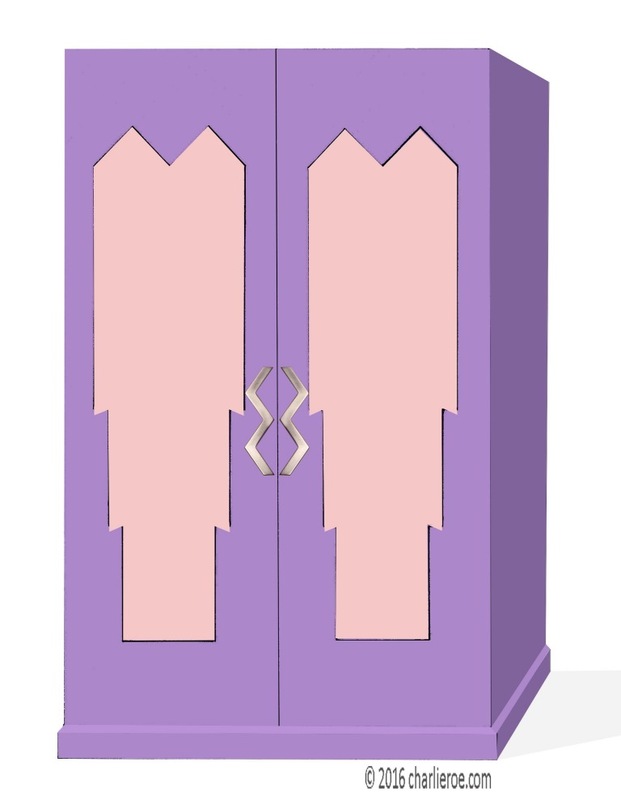 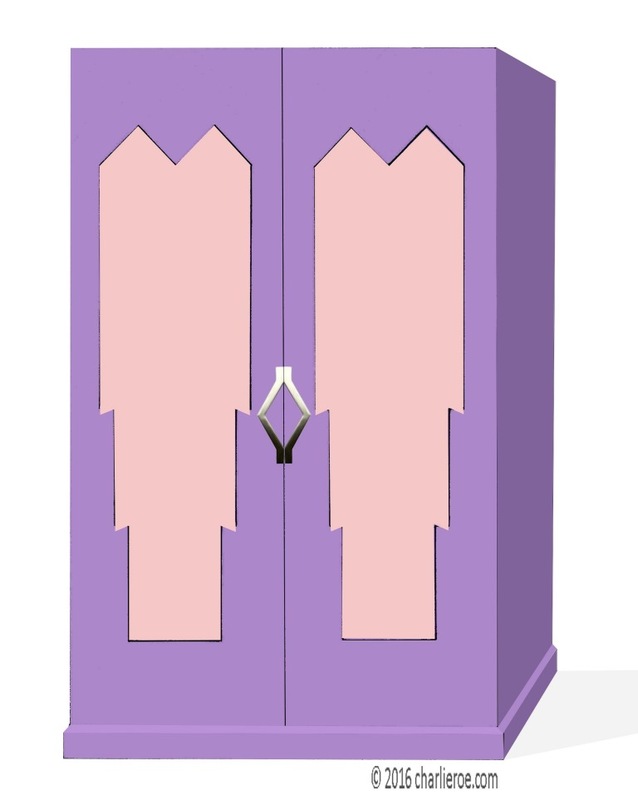 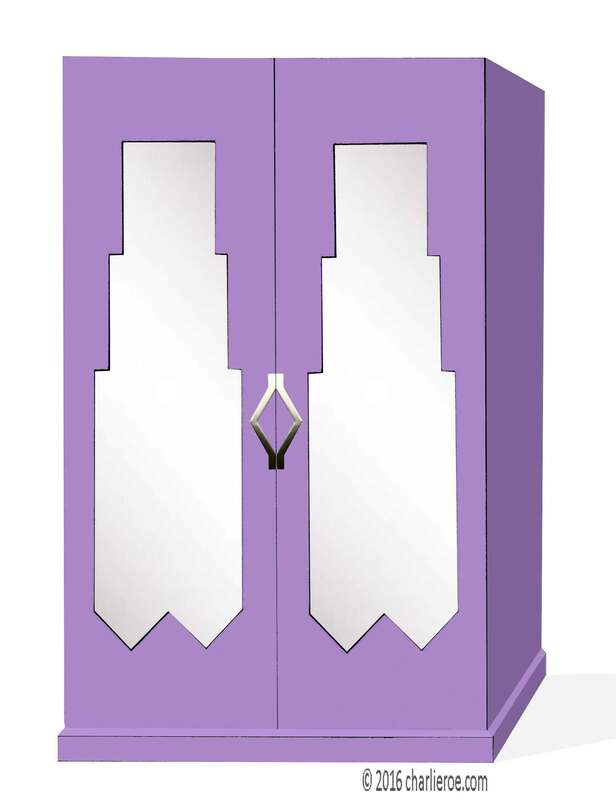 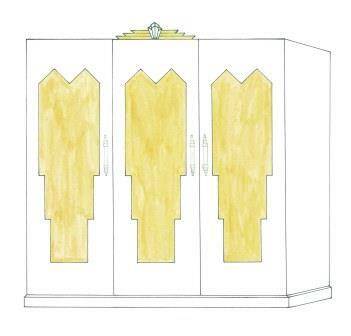 Yet another new Deco wardrobe design we've added. It is a very striking design, the stepped Skyscraper outlines merge into the Geometric top designs. 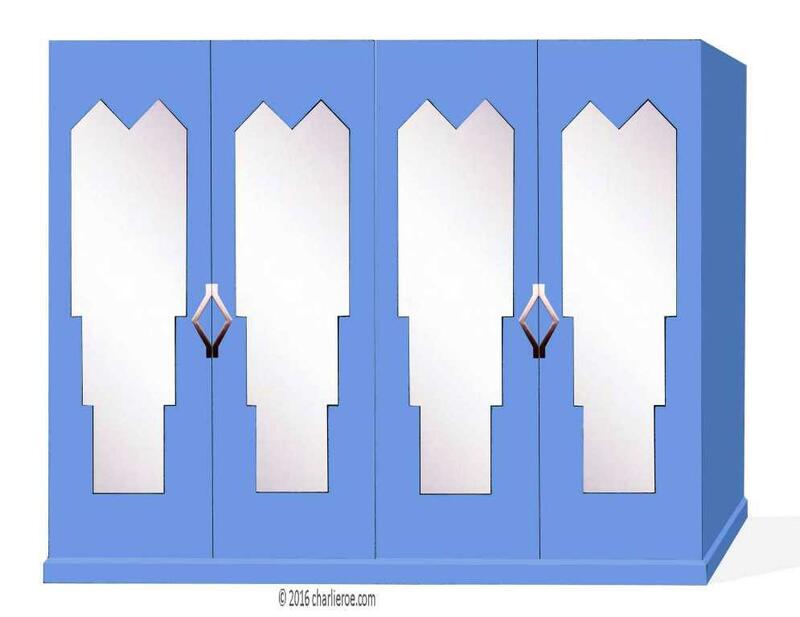 The doors could have mirror, painted, metal leaf finishes or other designs in the panels. 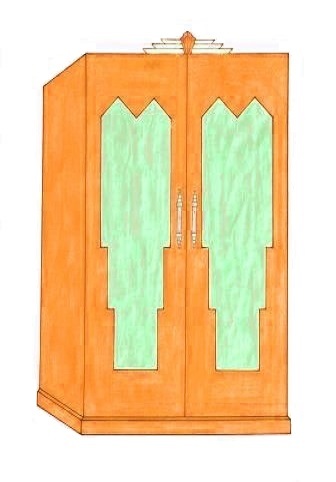 Although shown as a 2 door robe this design can have any number of doors, and looks more dramatic with more doors - see the next page for examples with 3 & 4 doors, link at bottom of page. 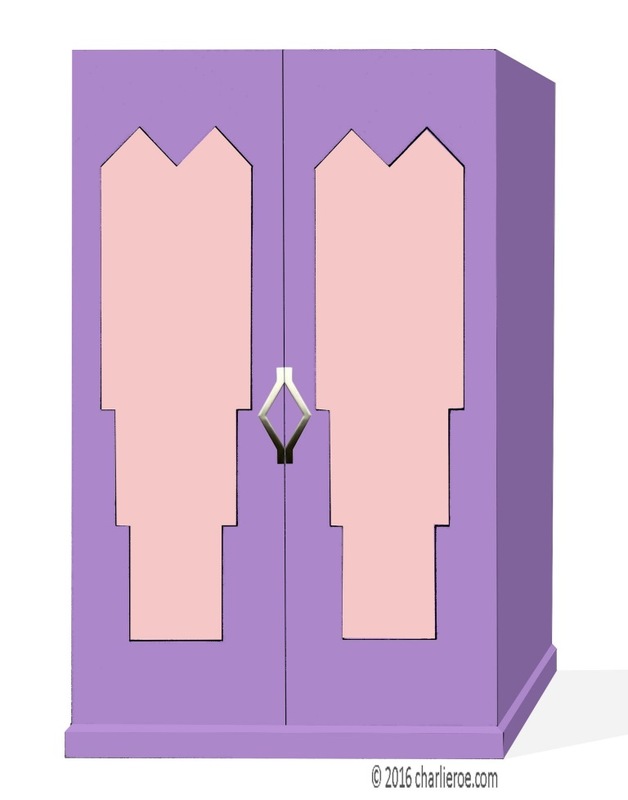 With more doors you can also mix up the door panels, having some mirror & some painted. With the clever use of positive & negative shapes these doors look equally good either way up, still giving you the Skyscraper door panel shape. Everyone can visualise these robes in wood finishes, hence we just showed painted finishes. As always with painted finishes, the panels can be left with a new finish, or can be distressed for an aged shabby chic look - your choice. As these robes are made to order you can have the robes in any colour(s), as the examples below shown in a range of 'Miami' colours. 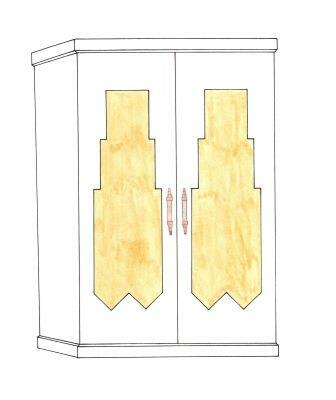 We can also add an ornate decorative crown moulding, as shown above. The stepped angular moulding matches design elements of the robe perfectly. The above designs show lots of variations in which up the door panels are, and they look good visually either way. Also, the mouldings can be cut square or with an angle to emphasis the angles more. 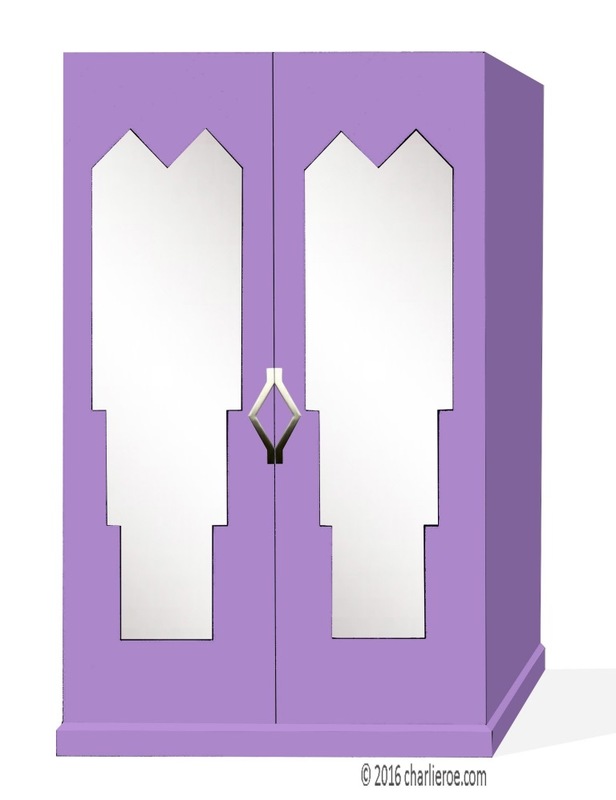 The handles can be made in several finishes and sizes, and accentuate the anglar shapes even more. 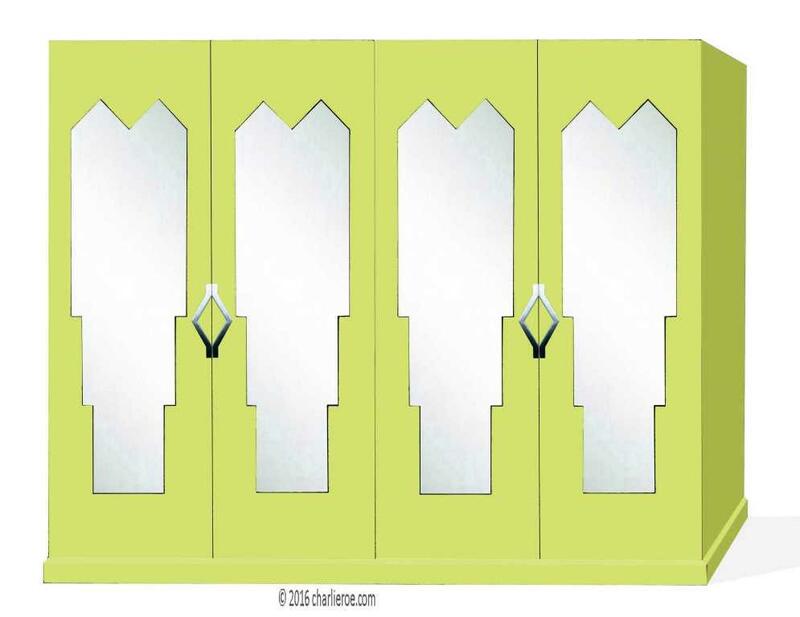 The panels can be painted or mirrors. It's always a sign of a sucessful design, & attention to the details, when the wardrobe handles not only suit the style of wardrobe but actually add to the whole look. The 2 handles shown above do just that. 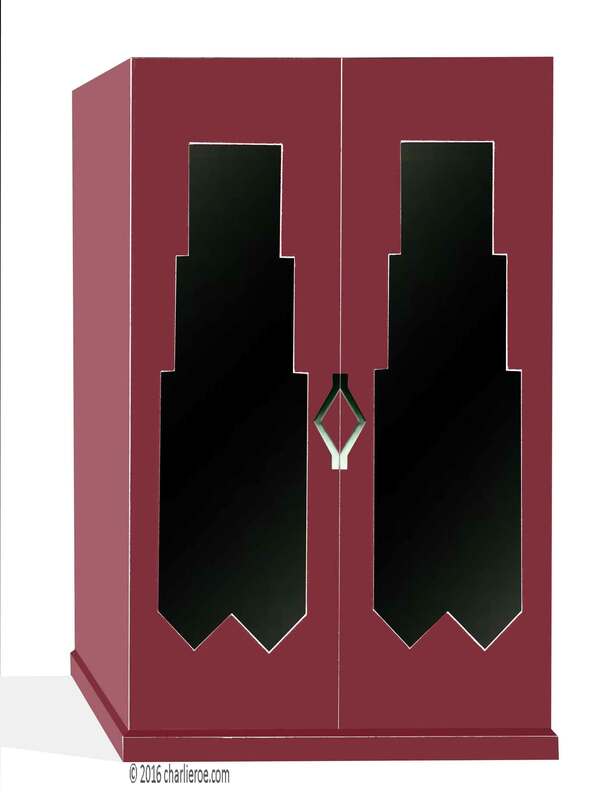 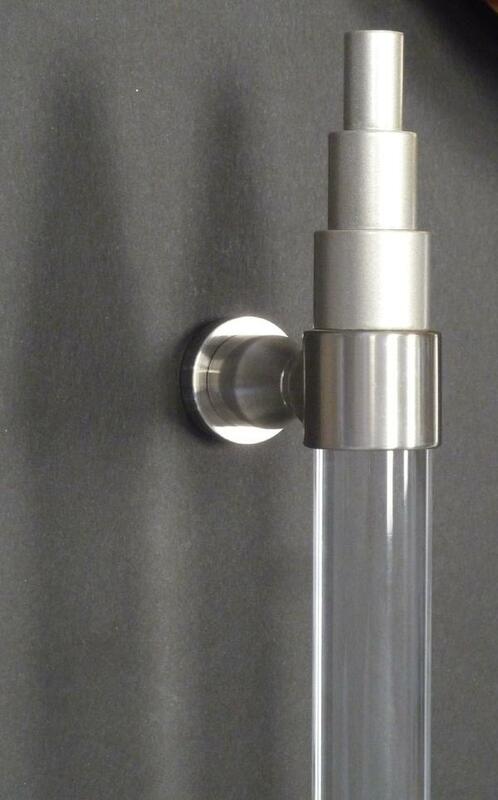 The 'Skyscraper' handle really emphases the stepped shapes in the doors & adds real Deco wow to the design. The zigzag handles would be another option, as they match the zigzag profiles at the top of the door panels. The metalwork can have a wide range of metal finishes, as they are made bespoke, so matching in / contrasting with the robes colours even more. But you always choose any handles you want.